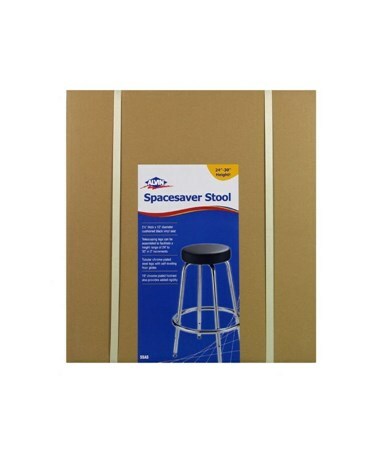 The Alvin Spacesaver Stool is a sturdy and functional height-adjustable utility stool. It features a 12-inch diameter cushioned seat that is 2 ½ inches in thickness providing a soft and comfortable chair while working. Made of black vinyl material, it is durable and versatile. 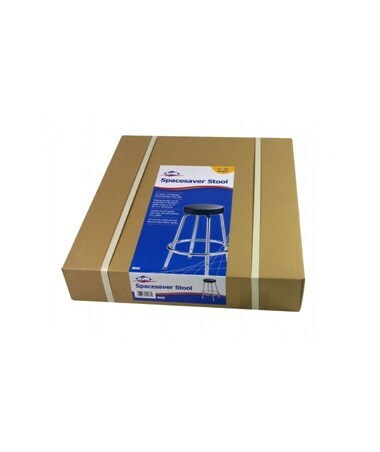 This space-saving utility stool comes with tubular steel telescoping legs that allows various heights for different working preferences and needs. It can be assembled to achieve heights ranging from 24 inches up to 30 inches with two inches increments. These legs are chrome-plated and includes self-leveling floor glides. 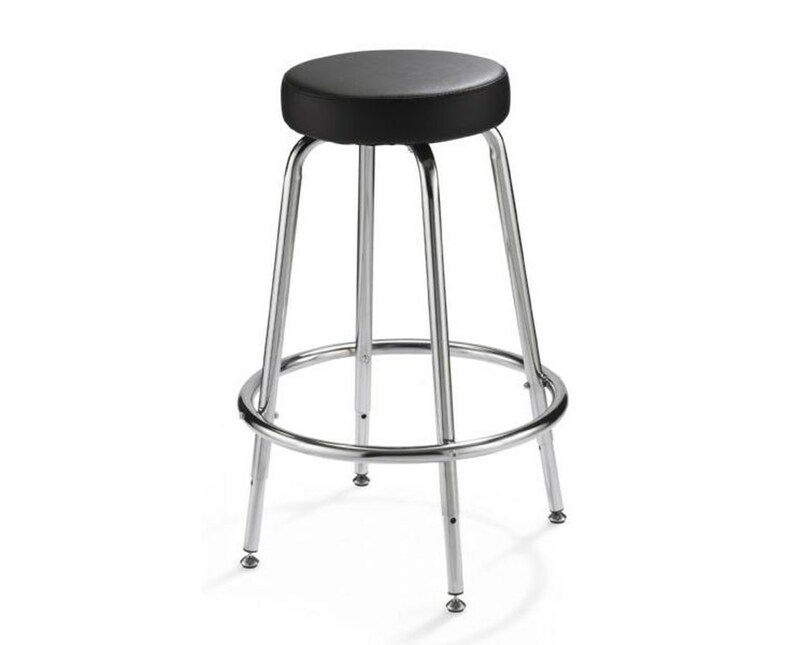 The Alvin Spacesaver Stool is equipped with a foot ring that is 19 inches in diameter and has chrome plating. It provides additional stability and, at the same time, functions as a footrest for comfort and convenience. 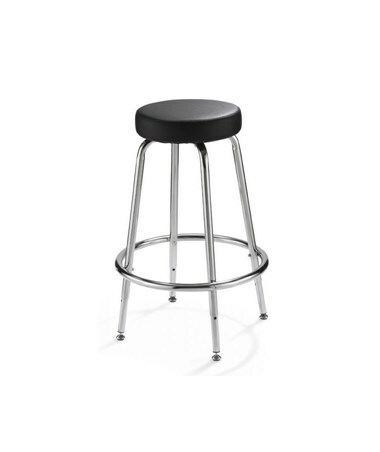 Some assembly is required for this stool using Hex wrench and Allen wrench, both tools included in the package.